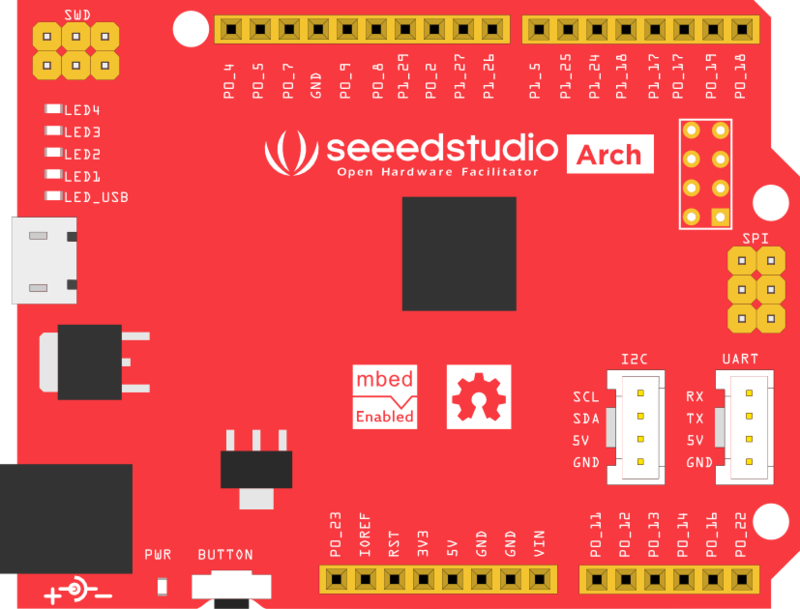 Arch V1.1 is an mbed enabled development board with Arduino form factor and Grove connectors for rapid prototyping. Arch V1.1 is based on NXP LPC11U24. 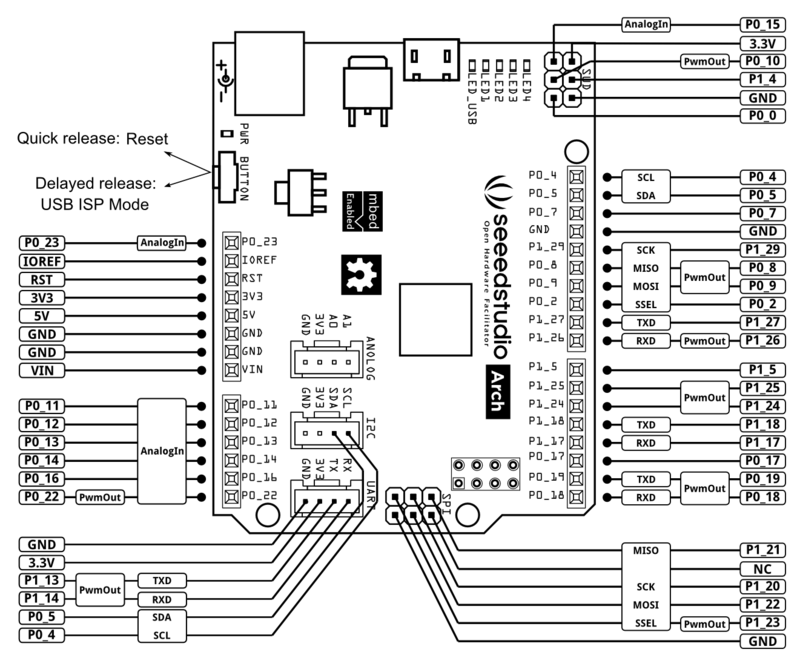 With a variety of Shield/Grove hardware modules and lots of libraries for Seeeduino Arch, you can prototype rapidly and easily. 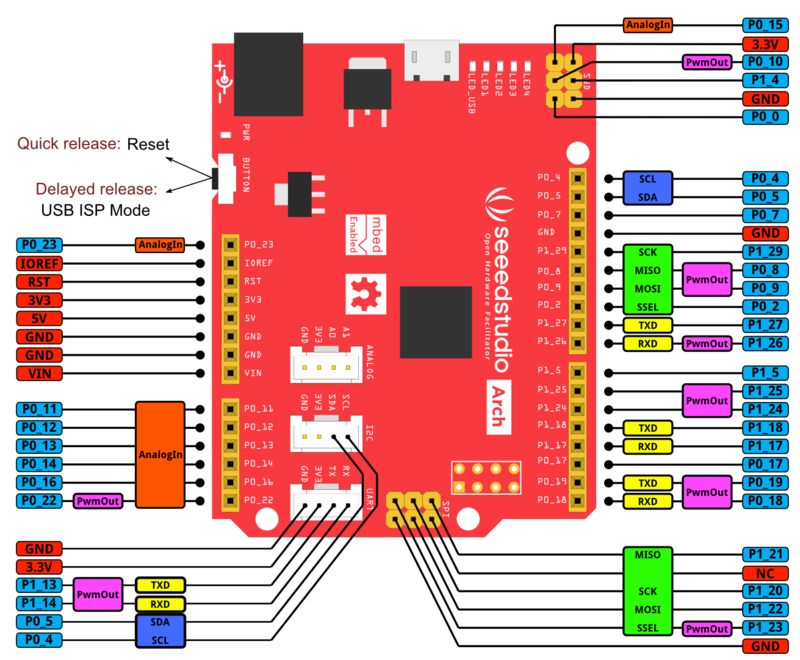 To bring a low cost development board, mbed interface is removed, but drag-n-drop programming is still provided. To fully debug Arch, Just use another Arch as a debug adaptor. There is a monochrome version pinout for you to print. A fritzing part of Arch is also provided. Have fun! which drivers we need to install to get the console output on mbed..i am geeting 'no microcontroller found' while instaliing..plz help me by providing some links..
which drivers we need to install to get the console output on mbed..i am geeting 'no microcontroller found' while instaliing..plz help me by providing some links.. thanks in advance.